When it comes to launching a website, there’s a lot more to understand than meets the eye – particularly when it comes to the price. Between designing it, editing it, and most importantly hosting it, you could end up spending a lot of money if you don’t do your research. Fortunately, that’s exactly what we’ve done for you. The world of web hosting costs can get pretty complicated without a firm understanding of what you’re paying for and why. Put simply, once you’ve built a website, you’re going to need to put it somewhere, and that’s where web hosting comes in. You’ll pay a provider to host your site on their server, effectively launching your website onto the actual internet. Now you just have to figure out how much it’s going to cost. Are you interested in launching a website? Are you looking to get a solid footing in the digital arena? Read on for all the information you’ll need about how much web hosting costs. Web hosting providers come in all shapes and sizes, with a wide range of features, price points, and hosting types that can make understanding the price difficult. Yes, there are a lot of technical aspects that relate to web hosting costs, but once you know exactly what you or your company needs, things get a whole lot clearer. Shared hosting – typically the least expensive option, as you’ll be sharing server space with other websites. Dedicated hosting – typically the most expensive option, as you’ll have an entire server all to yourself. 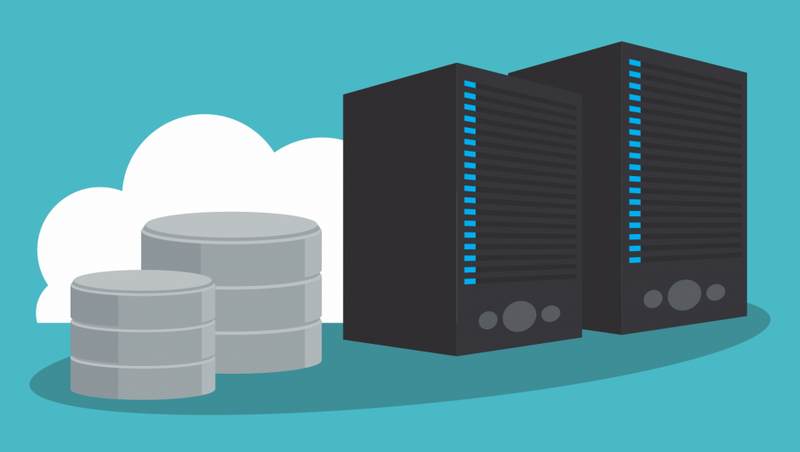 VPS hosting – the middle tier on price, as you’ll be sharing server space, but you’ll have your own section, so you won’t be entirely affected by other sites. Cloud hosting – price varies depending on needs, as your site will be hosted on a number of different servers, cutting down on outage times. In addition to the type of hosting you need, you’ll also have to decide on which features are important to you. If you’re expecting a lot of traffic, you’re going to want to make sure your provider can handle the bandwidth. If you’re looking for a small personal site, you can probably get away with saving a few bucks on a plan with less site and email storage. It’s all about what you need from a web hosting provider. If you’re serious about launching a website, you need to find a web hosting provider that meets your online needs. There are a number of high quality web hosting providers, offering a wide range of plans that can help you make your website dreams a reality. Take a look at these helpful tables for shared and VPS hosting plans to get a clearer understanding of exactly how much web hosting costs from brand to brand and plan to plan. If you’re looking to launch a personal website that doesn’t require a lot of bandwidth or storage, going with a shared hosting plan is a good move. You’ll be occasionally inconvenienced with the occasional outage or slow speeds, but overall you’ll save money and enjoy a fairly unburdened online presence. The brands below offer shared hosting plans at a variety of prices depending on what you’re looking for. Take a look and get a better idea of how much web hosting might cost you. Unless you’re a massive company with an insane amount of traffic, you don’t need a dedicated server to host your website, particularly because it’s going to cost you an arm and a leg. However, VPS hosting is the more affordable alternative that gives you a bit more power in regards to how and where your website is hosted, which makes it perfect for small businesses looking to scale. Take a look at this table that gives you all the information you need about costs, features, and everything in between. As we’ve mentioned a number of times, getting a website up and running is a complicated process with a lot of complicated costs, and discerning the difference between getting a web hosting provider and picking a domain name is one of the reasons. Don’t get it twisted; they aren’t the same thing. Web hosting is the process by which a provider will host your website on their server to make it go live online. Domain name costs referred to the purchase of a specific URL, like tech.co for example, that will be used to navigate to your website. The good news is that some providers will include the price of a domain name within their service. Make sure to check on this before making a decision, because you don’t want to be left with the bill when the time comes. Because there are so many different moving parts when it comes to launching a website, all the different costs and fees can get a bit confusing. The easiest way to get started though is to deal with a website builder that rolls all the costs into one. In the same way some web hosting providers will include domain costs in their plans, website builders also include web hosting services within their platforms. You’ll be able to design your website, purchase a domain, and host the whole thing on a server from a single platform. Wix, for example, houses all these features so you can get everything done without breaking a sweat. Check out some of the best deals we found for BlueHost hosting plans. Take a look at the hottest deals we could find for GoDaddy hosting plans. These hosting plan deals from InMotion will get you started with a website without breaking the bank. A2 Hosting has a wide range of deals that can help you launch your website for a great price. Watch out for these vicious hosting deals from HostGator to save you a little money. Pound for pound, these 1&1 Hosting deals can get you the best price on web hosting plans today.